大掃除　〜来年に向けリスタート！〜　Sweep up for the next lucky year ! Ladies and gentlemen, I wish you the next lucky year !! Stop the war, the violence within this year and make peaceful world, right now !! 今年の球磨焼酎、来年の球磨焼酎　Kuma syocyu (distilled liquor from rice) This year and Next year !! 人間に必要なもの　What we need most !? At the end of 2008 I have something (many things) to tell you ! What we need for our life ? Food and water or wars ? Essentially, what should we do just after our birth ? Breathing and drinking milk or recognition of our nations, religions or skin colors ? We often attribute the responsibility of what we should not do to the notion of ‘our pirde’. However, we sometimes bet our lives on something or wars without deep thinking. We sometimes loose everything with loosing our life, together with other’s whole lives. What should we do with our lives for ? For food, water or our family? Not for wars!! What we need for our lives ? Cooperation, collaboration or conflict, wars? What we should do for our existence as a group (nation, religion, or skin colors) is to hurt the other groups ? Not at all, we should take care not to disturb other group or other group members as mostly as possible !! What I mentioned is the common sense of common senses ! However , we should re-recognize that !! 2009年	九星気学と干支とカバラ数秘術　The year 2009 would be good year or bad year ? ダイニング『てる』さん　美味しかったです！！　Restaurant ‘Dining TERU’ so wonderful !! The restaurant lacates at 5 cyome, Shiba, Minato, Tokyo and the 1st floor of the mansion, named ‘C’est la vie K’. The chef’s recommendation is dishes made with products from Fukui Prefecture, Japan. Boiled, baked, fried ones and raw fish tasted so nice !! The rice syocyu ‘HANATEBAKO’ you can try !! 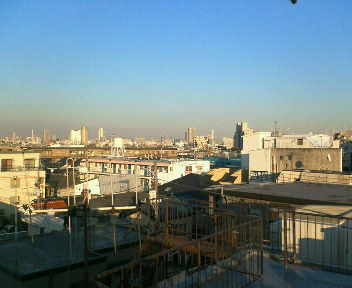 今日は天皇陛下と東京タワーの誕生日！！　It is the birthday of the Emperor and Tokyo Tower, today !